The metalic figures were my first PR figures & Im really impressed with them (pink is a little weak in the legs) & def worth the price tag. Im quick to compare these to Hasbros Marvel Legends figures & the fact is given the ML are often £25 these days the PR figures are def. 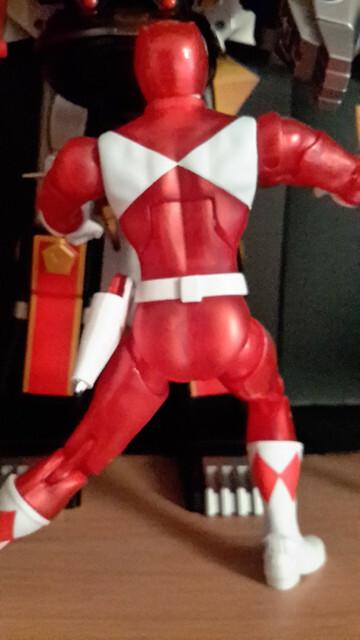 Superior in terms of quality & articulation. As Ive previously mentioned the biggest disapointment is the inability to combine the weapons into the Power Cannon. Im hoping they do a metalic Green Ranger but this seems unlikely. Appreciate the info - of the Rangers which would you say is the best? ... 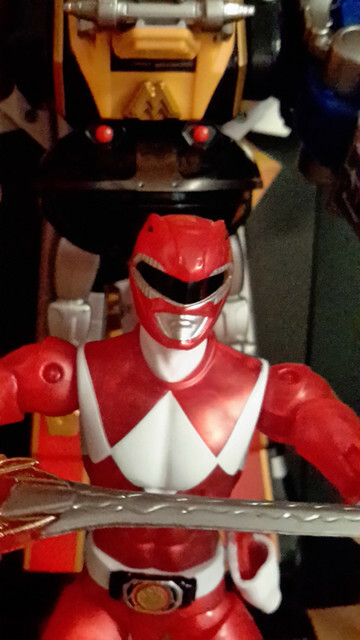 The helmet sculpt of the Red Ranger looks off to me, but again only seen pictures. Yellow & Blue in that order. Yelow is a fantastic figure & I strugle to fault it. Blue is great, but (and it might just be the way Ive posed him) but his head seems like its cocked to the left ever ever o slightly (amost completely unnoticable). I cant really fault Red or Black (I personally just think black is rather bland & uninspering) either, save your right that Reds head dosnt look quite right (I think its cause of the matlic colour). Pink is the weakest of the lot, due to the colour palet of her helmet its not 'metalic' like the others rather its just the flat pink/white colour scheme which looks odd against the body. I'e also found (and again I think this down to the way Ive posed her rather than any fault) that the figure is a little weake in the ankles & has a tendency to topple over. If you want Ill try & post some close up shots later to help show their quality. At the end of the day only you can decide if you feel the price is right for them. Personally I love yhe figures & quite happy to have paid £100 for the 5 (although I did break up the cost by buying them over 2 month period). If your on the fence I would recomend that maybe you just buy your fave figure & go from their. Really appreciate your insight. I think you are right, buying my favourite might be the best approach (although Green is my overall fav, but little chance of finding that for a reasonable price), only problem is Red would be next on the list... if you could post some close up of the Red that would be awesome! 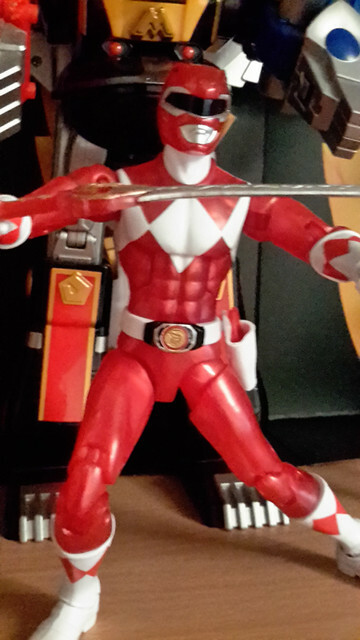 Hope these help, cant really see from the pics but each ranger has their own power coin in the morpher. Fixed your images for you, dwphoenix. When you use imgbb, make sure to copy the "Full image (linked)" > "BBCode" code from the Embed tab. You can't just put the page url in img tags. Cheers, its cause I used my phone rather than the tablet. I had just gone to get the tablet to sort. Cool. Id like to hear your thoughts on it when it arrives. I ordered from Manga last week and mine still says processing!! Blimey! You best contact them. Hopefully they can find out what's going on and sort things out. Don't forget to include your order number. Today it has changed to "Complete" so I'm assuming it's been dispatched? I looked back on my account page and has the word 'completed' on the status thing. So, I reckon your order must be on its way to you now. So my Tesco now has Ninja Steel in stock. £43 for the Megazord seems FAR too much, as does £35 for the Morpher. They had those two items, the Ninja Blade (which looks cool in size actually), some Star packs, the figures, the 12" figures and the weird cycle things. Ufortunately that appears to be the new UK pricing point (presumably because of Britex). Although Entertainer currently have 20% offall NS toys, which means you can get the new toys effectively at last years DSC toys. My boy even got a black Ninja Star today following their recent event. Same here. I just back. I didn't buy it though. I might wait until it goes on sale, or christmas time, or january sales. I don't need it. But to see it in the box it's cool. Got these for £30, instead of £60. 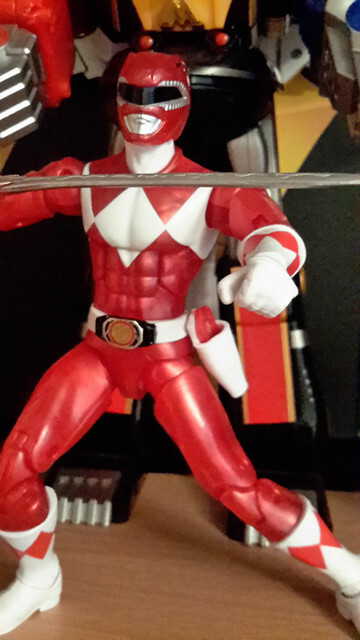 I got the then and now 2 packs, so I only wanted Goldar, but £30 was just too tempting. Plus the rangers look better.